obi-wan: can we keep him? i swear he follow me home!! Qui-Gon: Remind me, HOW much am I getting paid for this again? Obi-Wan: No amount of money is worth this. 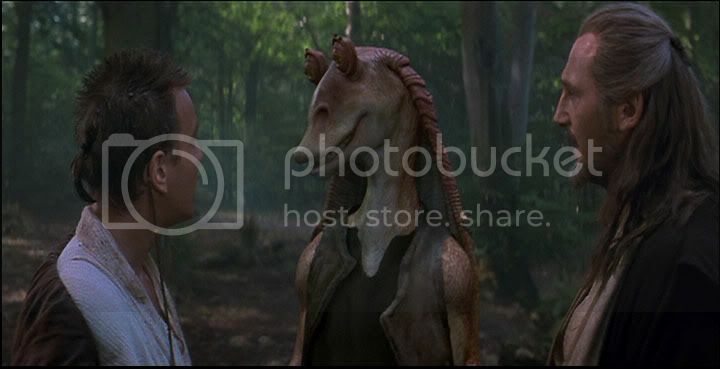 Qui-Gon: On second thought, let the Trade Federation have this planet. Let's go hit a cantina on Tatootine.